©2017 45” x 45” Carly, our fun-loving daughter-in-law, brings great joy to our family. She brightens everyone’s day, especially delighting her nieces and nephew as she joins their games of hide and seek, squeezing into the tiniest of places. 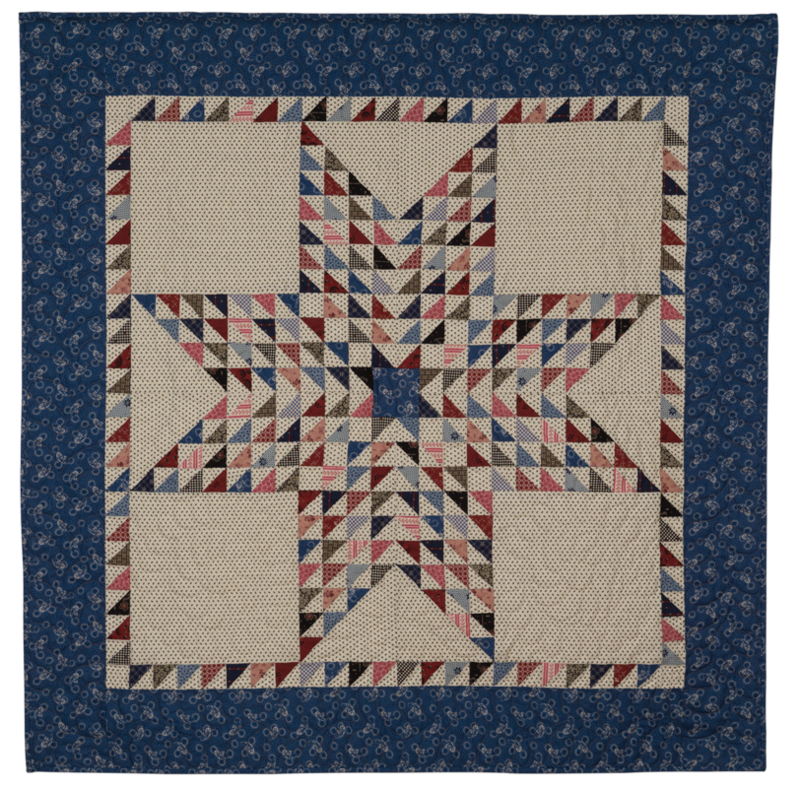 Assorted red, blue, black and pink reproduction fabrics representing the 1880s were used in the half-square triangles.